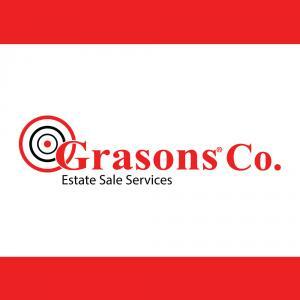 Welcome to Grasons Co Premier High Desert to Thousand Oaks Estate Sale Services. Our Los Angeles based estate sale services location specializes in professional liquidation sales, and we look forward to assisting you. Our High Desert to Thousand Oaks Los Angeles estate sale clients include homeowners, buyers, Realtors, trustees, attorneys and probate courts. Our team has extensive experience in vintage vehicles, antiques and collectibles, marketing and sales that spans over 15 years. Our clients partner with us as a dependable, trusted source during their transitions. We understand that moving, downsizing or experiencing the loss of a loved one is a difficult time. We are very proud to provide this personalized service with professionalism while maximizing the value for each client we serve. Professionalism, high values, and morals are key to the success of our company and the success of each estate sale we hold in the Palmdale, Santa Clarita, Thousand Oaks & Surrounding territories in the Los Angeles area. Empowered with knowledge, constant continuing education, industry contacts, marketing experience, and customer service, we are the right choice for your next “Los Angeles” estate sale. Why use Grasons Co Premiere High Desert - Thousand Oaks? About our owner: The owners of our location William & Shalana Nelson and Rhonda Williams are a recognized individual in the industry. William has had over 25 years in the corporate world. Gaining respect in his positions as a reliable and knowledgeable professional in the aerospace industry. Shalana (William’s wife) has also spent over 25 years in corporate America within the healthcare industry. Being in charge of large scale projects, and expert in strategic planning while specializing on the most recent technologies available has given Shalana the experience she will need and use in the operating of her Grasons Estate Sale service franchise. Rhonda Williams has been working as a trainer in the insurance industry. With her days in corporate America working and training side by side with top professionals in her industry. Rhonda also has years of experience in performing her estate sales and has found quickly her skills in corporate America has allowed her to use these same professional tools to open her own Grasons Estate sale Business with her lifelong friends Shalana and William. Our 3 owners with their Southern backgrounds bring an amazing amount of compassion, expertise and hospitality to their new business. Our estate sale team consists of trustworthy, motivated, and professional individuals. Each member of our team has specific experience and knowledge directly related to his/her duties. Grasons Co Premier -Splendid 2 Day Sale in Simi Valley. Final day 50% off! Grasons Co Premier High Desert - Thousand Oaks One Day Blowout Sale Lancaster &#8211; 75% Off Everything Must Go! Grasons Co Premier High Desert - Thousand Oaks Pickers Delight Con't | Last Day Blowout- 75% Off ! This company has posted a total of 12 estate sales. Only the most recent 7 sales are shown.